If you’ve ever put down the daily paper and wondered, where has all the good news gone? you might try this book by ex-president and author, Bill Clinton. 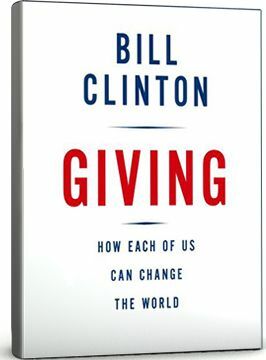 Although it’s impossible not to look for the political angle, what you find instead is an amazingly level-headed, well-written account of what Clinton calls “an explosion of citizen service” since the conclusion of the Cold War. In a world where l00 million children in poor countries don’t go to school, and half the world’s people live on less than $2.00 a day, it’s perhaps no surprise that information technology and globalisation of commerce have made everyone more aware that the name of the game is sharing, so that all may benefit. As for his involvement, Clinton points out that when he met Hilary in law school, she was working to provide legal services to the under-privileged. In Arkanas, she ran the legal aid clinic and prison project. She did it, he notes, because it made it her happy. Clinton himself left the White House in 200l. In 2002 he started the Foundation in his name and in 2005 convened the Clinton Global Initiative at the annual opening of the UN General Assembly. Their pledges rose from $2.7 million the first year to more than $7 million the following year. This book looks at the various ways we can give: with money, time, things, skills, good ideas, even including organizing markets for the public good (companies are making money by cutting greenhouse gases in Denmark). He discusses the part governments can play. He examines non-governmental organizations and looks at the results of their giving and how these have to checked. He includes a thorough list at the back of the book of names, books and websites. Next year may be an election year in the US….but this seems to me to be a book for all time.